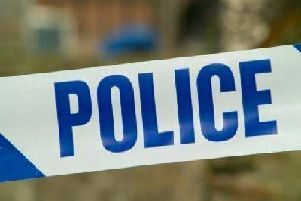 Witnesses are being sought after a car drove towards pedestrians to get away from police in Banbury. A vehicle failed to stop for police and then drove dangerously at excessive speed along Woodgreen Avenue at around 12pm last Thursday (January 31). The driver then mounted the curb and drove towards pedestrians on Edmunds Road before going along Bretch Hill in the direction of Wroxton. A 28-year-old man from Banbury was arrested in connection with the incident but was released on police bail, due to return to Banbury police station today (Wednesday). PC Daniel Hopkins said: “I am appealing to anybody who was in the vicinity of Woodgreen Avenue, Edmunds Road or Bretch Hill at the time of this incident who has any information which they think could be relevant to our investigation. Alternatively make a report online or call the independent charity Crimestoppers anonymously on 0800 555 111.